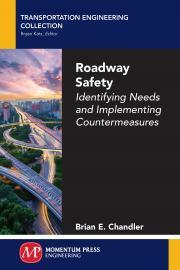 Brian Chandler brings to this text a rare combination of field and leadership experience, serving as a traffic safety and traffic operations engineer for the State of Missouri, Federal Highway Administration, and as a consultant. Mr. Chandler holds professional engineer registrations in Arizona, Connecticut, Missouri, and Washington. He is a certified professional traffic operations engineer through the Transportation Professional Certifications Board, Inc. Mr.